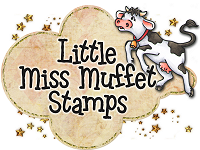 Welcome to the Little Miss Muffet News landing page where you can learn all about how the LMMS News Banner can work for you!! It's a badge that you can put on your sidebar and it will update automatically when new information is announced - including new releases, sales and freebies!! or CLICK HERE to go shopping! Do you want a chance to win some digi stamps from the upcoming new releases?! Then you'll want to display the "Newest Releases" blinkie on your sidebar and become a follower!! NOTE: This is important to be eligible to win ... Make sure you use the code above when grabbing the blinkie so the blinkie will update automatically. If you have the updated blinkie then you're eligible to win digi stamps from the upcoming new releases!! Make sure you add your name to the InLinkz list below too. Here's how it works - when we announce the new releases then I'll also announce a winner. I'll select a random follower of this blog from the InLinkz list below and IF they have the correct blinkie in their sidebar then they win!! They'll receive a section of new images from that set's new release collection in digi form! If you're wondering what the correct blinkie should look like... here is the latest which will automatically change when a new blinkie is uploaded. If yours doesn't look like this one when it changes then try grabbing the code again or drop me an email if you have questions - I'll be happy to help out! Remember, each month (and sometimes during the month too) the blinkie will change automatically and you'll get to see the latest news right from your sidebar! It's also a great way to get alerted of any freebies or sales that are announced!